On Wednesday, April 24, the Landings Way North loop behind the Main Gate will be closed for repairs which will include a mill and replacement of a 200-foot asphalt section. Barring any significant weather delays, this area will be closed for two-to-three days while repairs are done. As a reminder, Bulk Trash in The Landings is collected the second Friday of each month. Similar to Yard Debris, Bulk Trash should be placed curbside within 24 hours of being picked up. You also should not place anything that you don’t want taken curbside on these days. Occasionally, a resident will report various items that were curbside on these days missing. Just recently, a large, four-wheel metal garden cart with drop sides was taken. If by chance, you mistakenly took this cart, the owner would very much appreciate its return. Due to the recent rain events and the onset of warmer weather, The Landings Association has received several calls regarding an increased amount of snake sightings. Please make sure you use caution when frequenting natural areas and take a look at the article below for tips on how to identify types of snakes in our area and the best way to handle possible interactions with them. 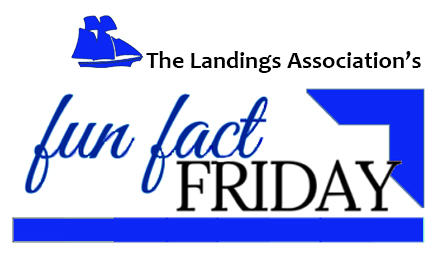 Did you know that approximately 17,600 bales of pine straw are installed on the 313 Landings Association-owned center islands each year, which improves the overall natural beauty of the community? On May 5, Friends of Skidaway Audubon will sponsor a presentation by David Mizejewski from The National Wildlife Federation (NWF). 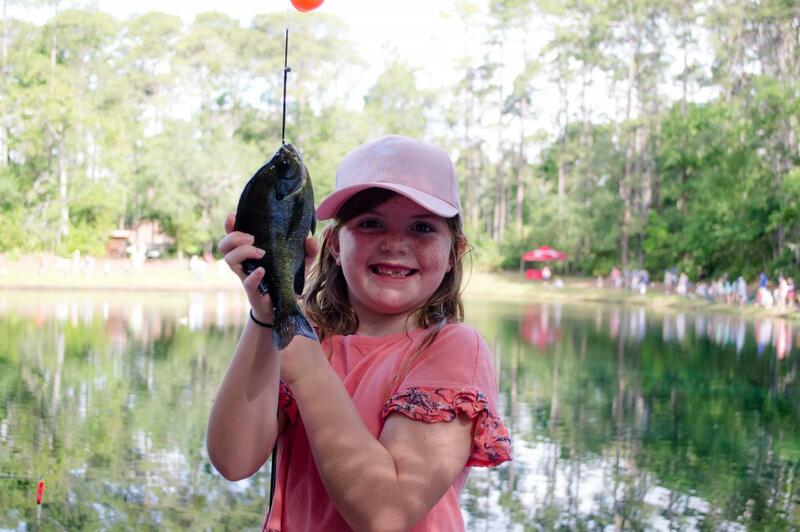 The 24th Annual Kids Fishing Derby kicks off Saturday, May 25, with registration beginning at 8:30 a.m. and fishing between 9 and 10:30 a.m. Lots of prizes will be awarded at this free event in the various age groups. This is a wonderful way to get outdoors for some family fun!